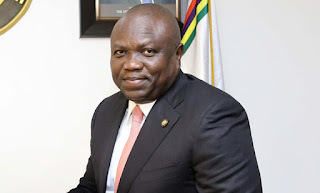 The Muslim Rights Concern (MURIC) has commended the Lagos state government for approving the use of hijab by female Muslim students in all public schools. CKN News had reported that the Lagos state government has given an approval to Muslim female pupils to use hijab in public schools. This was announced in a circular by the state’s area unit of the Muslim Students’ Society of Nigeria (MSSN). The new circular said the hijab must be “short, smart, neat and in the same colour of the uniform (skirt)”. Reacting in a statement sent to Concise News on Wednesday by Muric’s Director, Professor Ishaq Akintola, the group said the development though belated is better late than never. MURIC called on all government agencies and employers of labour to note the development. The statement reads in part: “Reports reaching MURIC headquarters say the Tutor General Permanent Secretary (TGPS) of District 6 has also issued a circular directing all school principals within the jurisdiction to allow female Muslim students who wish to use the hijab to do so. We are yet to hear anything from Districts 1, 2, 3, 4 and 5. We are therefore calling on the remaining five TGPS to follow suit. Delay will imply insubordination and sabotage of government’s good intention. “We congratulate the Lagos State chapters of the Muslim Students Society of Nigeria (MSSN), the Muslim Congress (TMC), the Muslim Teachers Association of Nigeria (MUTAN) and the Federation of Muslim Women Association of Nigeria (FOMWAN). We commend them for their steadfastness, patience, and forbearance.